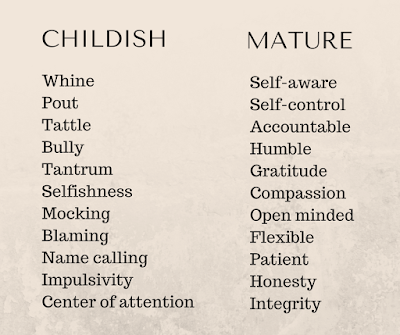 Redemption's Champion: Are you Childish or Childlike? 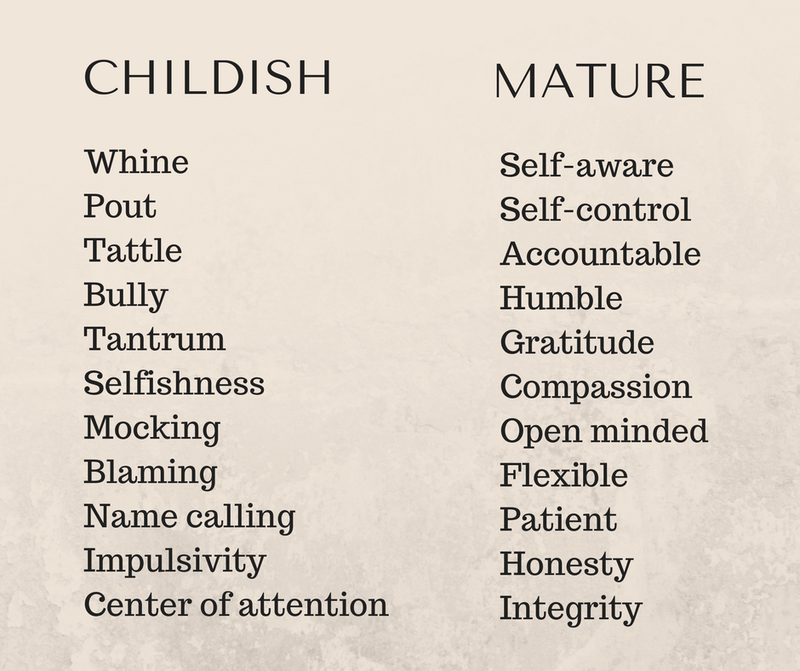 Are you Childish or Childlike? “It is my day to sit in the middle,” they both screamed from the back seat. “Mom, pull up the chart on your phone,” one said. It is a constant, almost daily battle. This morning I wrote the list on the vanity mirror above the driver's seat and it grieved my mama’s heart. These children are self-fish and self-centered, when are they going to grow out of this? They want their way all the time. It made me think about myself, "Am I growing up? Am I getting to a place in my life and relationships where I don’t have to have the list posted for me to do the right thing?" "When is she going to grow out of this?" It is pretty easy for most of us to do what we are told or to follow a set of rules and guidelines set before us, but what about when we are alone or with someone that we know we could overtake? By overtake I mean get our way, manipulate or control. Do we choose to do what is right or what makes us feel good? Childishness does what makes you feel good. Maturity does what is right. The definition for maturity from Dictionary.com is 1.the state of being mature; ripeness: 2. full development; perfected condition. I found it interesting that “ripeness” is one of the meanings because that refers to fruit. Maturity is a fruit of our relationship with God. In order to be transformed into His image with ever increasing glory, we have to be unveiled. We have to make ourselves known to Him, all of us, all the ugly, broken and childish places. He does want us to mature. Children are typically humble and teachable. Thefreedictionary.com says that childish means 1. Of, relating to, or suitable for a child or childhood: a high, childish voice; childish nightmares. 2. Marked by or indicating a lack of maturity. "Physical age can be counted by number of birthdays, and also by whether a person has attained full growth in terms of their height, strength, cognitive functioning etc. Understandably children lack maturity, but as followers of Jesus in an intimate relationship with Him are we childish or childlike? 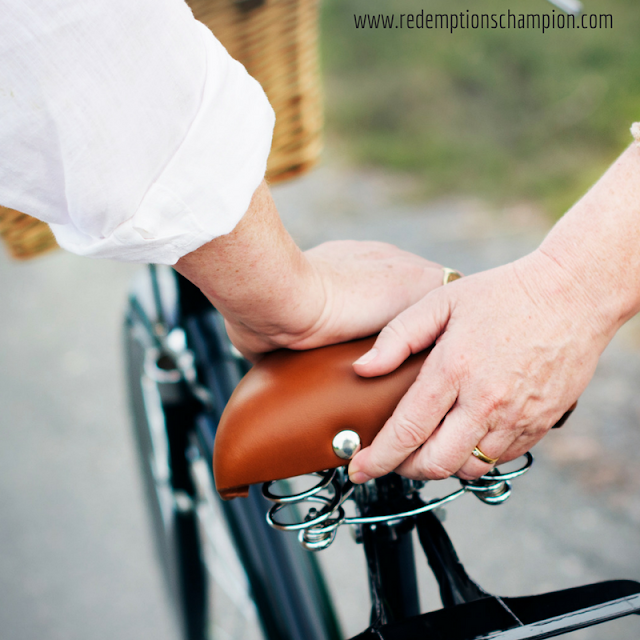 Are our behaviors suitable for a mature son or daughter or are they more suitable for a child? Look at the chart above and spend some time in prayer and let the Lord speak to your heart. It's not a place for self-condemnation, but a place for transformation and restoration.